There, they hope to witness the historic passing of the Crystal Comet at a hair-raising gala and monster skull-ebration. Their adventures introduce them to new beast friends carving their way in the big city: Luna Mothews™, daughter of the Moth Man; Mouscedes King™, daughter of the Rat King; and Elle Eedee™, daughter of The Robots. Each wears her fiercest fashion and out-of-this-world accessories for the gala event that will skull-ebrate the comet's passing. 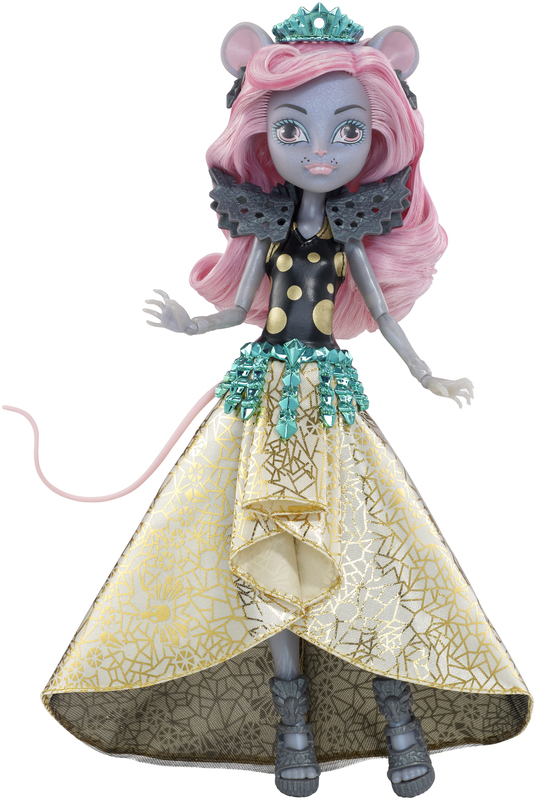 More princess than pest, Mouscedes King™ doll avoids looking cheesy with Upper Beast Side style. 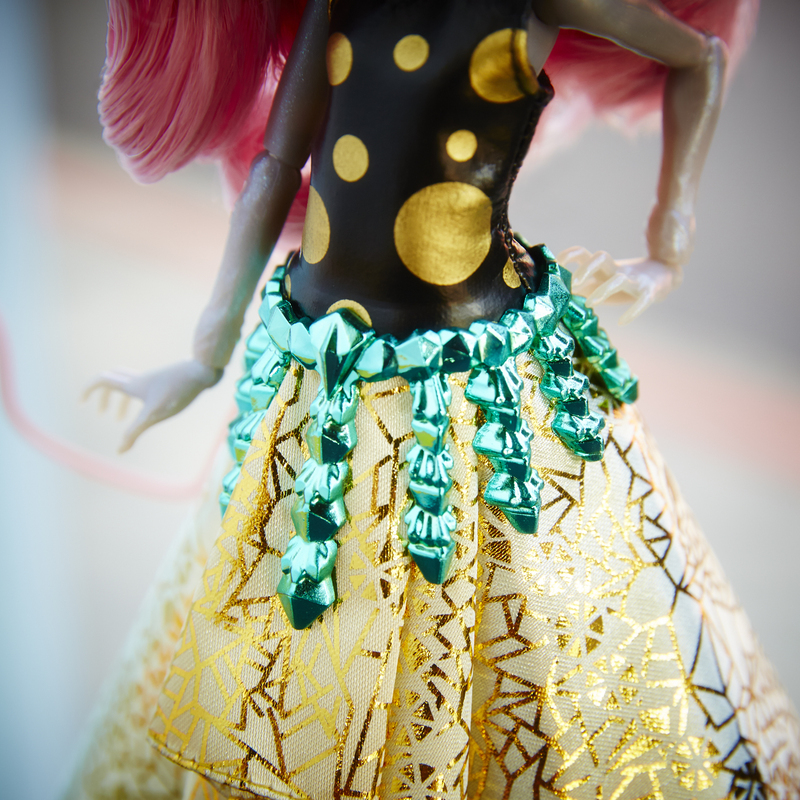 Her gore-geous gown shines with golden polka dots on the collared bodice and a gold foil tapered skirt. 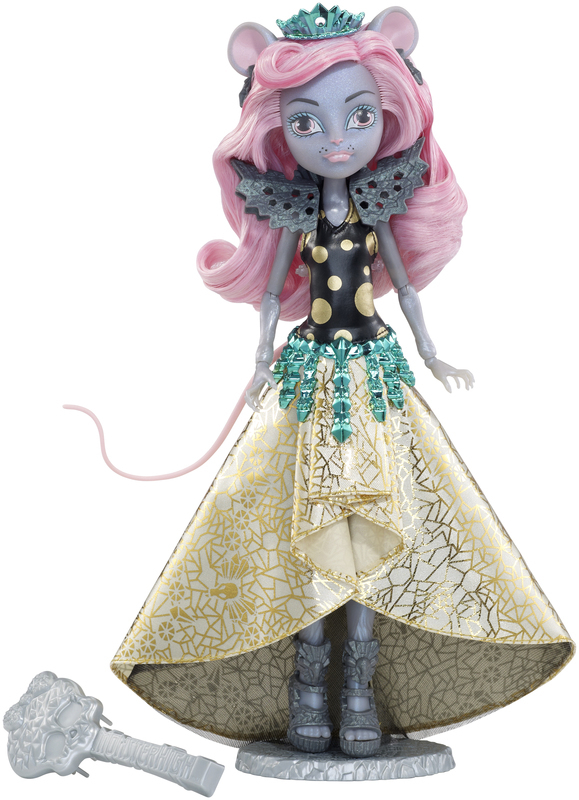 A bright belt and matching tiara are a-mazing, and her mouse ears, tail and tufted fur are totally monsterrific! Use the doll stand and doll hairbrush to style the gore-geous dolls and capture a flawesome moment. Plus, a diary with character info adds to the fun. Includes Mouscedes King™ doll wearing fashion and accessories, a doll stand, doll hairbrush and diary with character info. 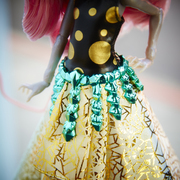 Mouscedes King™ doll avoids looking cheesy in an Upper Beast Side dress with golden polka dots on the bodice, a gold foil tapered skirt and bright blue tiara. 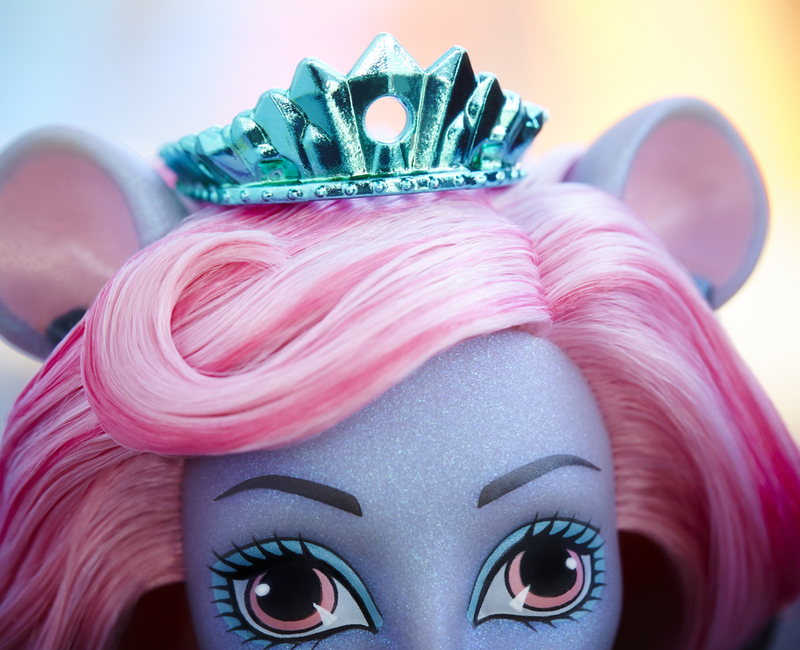 Her mouse ears, tail and tufted fur are totally monsterrific. A diary with unique character info adds to the fun. 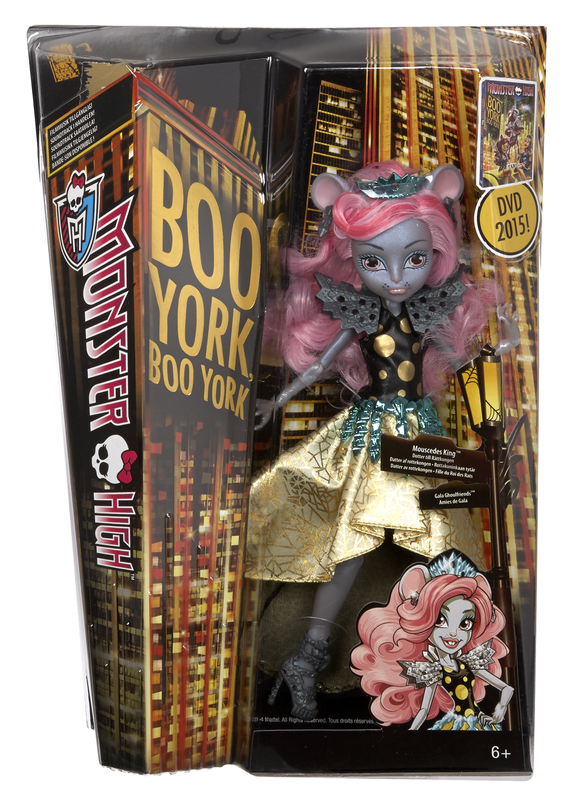 Collect all of the Monster High™ Boo York dolls for a full cast of ghoulish characters (sold separately)!